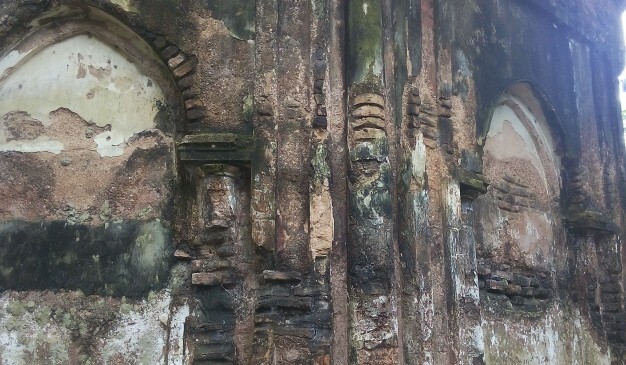 Temple of Joya Ram is located in Jowari (জোয়ারী) villege. Promothonath Bishi, The prominent literary of the then Indian Sub-continent, was born in this village. This temple is just beside the House of Jowari Bishi. This temple was built with this house at the same time. So, the both was considered to be the oldest buildings in that area, built around 150 years ago as the local said. Now a days, this temple almost became a ruin. Trees and bushes are everywhere surrounding the temple. Although recently, the local people cleared the whole mess and started functioning the temple. This temple is known as Shiv Temple, for the worshipping of Lord Shiva. There is a Mandir recently the local villagers made for performing their rituals, both often and by occasion. 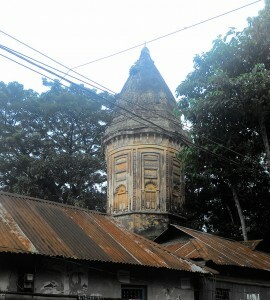 After reaching at Natore Sadar, come to Madrasa Mor. You can find CNG or Auto rickshaw to go to Bonpara Bazar. 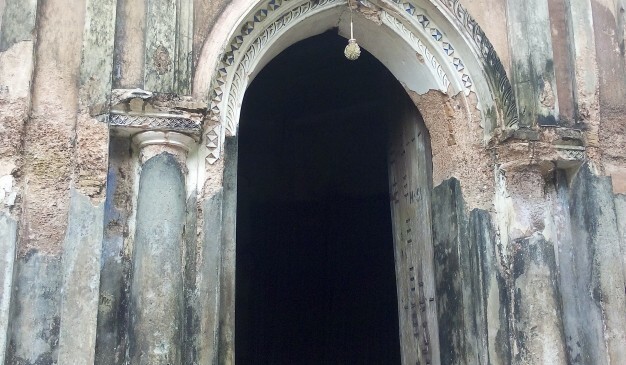 From Bonpara Bazar, take Vutvuti or Nosimon to reach Ahmedpur Bazar and hire a VAN to reach Jowari village to see the Joya Ram’s Temple, which is just beside the Bishi Bari. It is about 4.5 km distance from Ahmedpur Bazar to Jowari village. After reaching at Natore, take rickshaw to go PTI Mor. From there you can find Auto or CNG to go Bagatipara Upazila through Qadirabad Cantonment in Dayarampur. There are no hotels to stay in Bagatipara Upazila. Only Zila Parishad Dak Bungalow is available, but you require prior permission. Also you can stay in Natore Sadar Upazila. 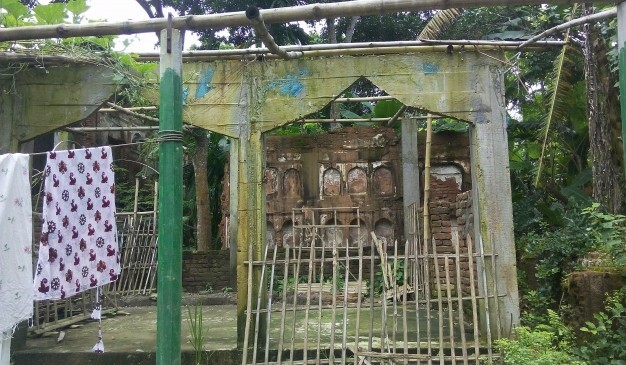 The Muktagachha Tin Shiva (তিন শিব) temple/mandir (মন্দির) is a twin temple located outside the Rajbari of Muktagachha in Mymensingh. 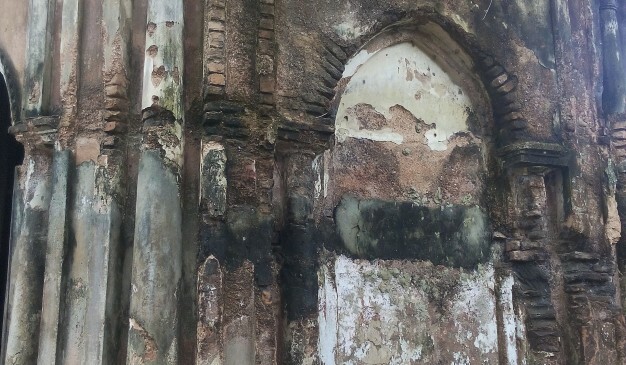 The temple was constructed in 1820 by Rani Bimola Devi (রানী বিমলা দেবী), the mother of Maharaja Shashikantha Acharya Choudhary (শশীকান্ত আচার্য চৌধুরী), the Zamindar of Muktagacha. 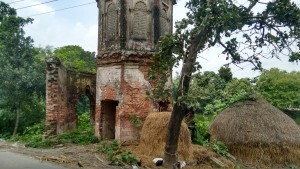 The twin temples consist of the Shree Shree Anandamoyi ( শ্রী শ্রী আনন্দময়ী) Shiva and Kali Mata Mandir (কালী মাতা মন্দির). The Hindu Rabidas (রবিদাস) community perform a two-day-long Kattyani (কাত্ত্যানি) Puja, locally known as the 'Shat' (সাত) Puja, in the Bengali month of Kartik (কার্তিক). 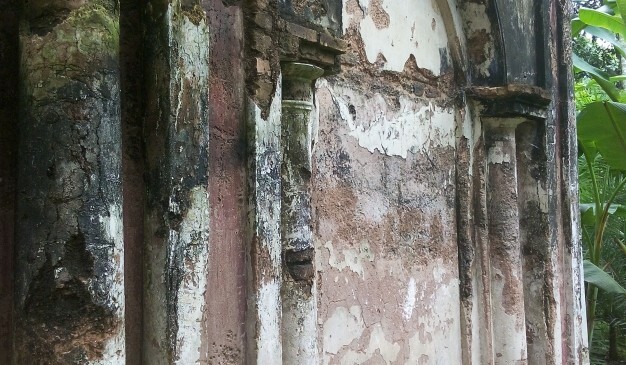 The temple is in dilapidated condition due to lack of repairs.
) 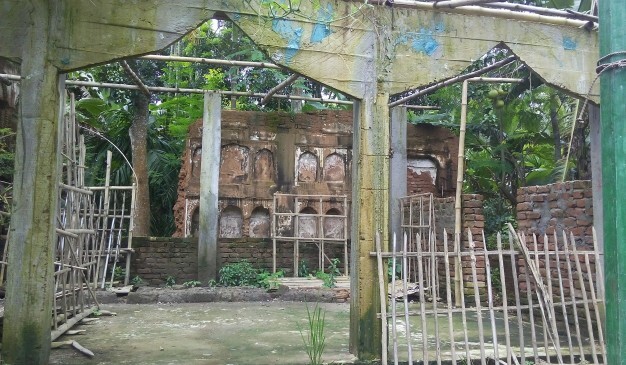 => Array ( [name] => Bodeshari Temple [post_id] => 2988 [post_link] => http://offroadbangladesh.com/places/bodeshari-temple/ [thumb_link] => http://offroadbangladesh.com/wp-content/uploads/2015/02/offroadbangladeshlogo2-300x178.png [post_content] => The Hindu temple "Bodeshari" is situated in Boda sub district at Borososhi council at Devibod Deshari Mouja at the area of 2.78 acre. Among 18 Purans, Skandha is one of those. In 88 Kashi of that Puran, it is said that the king made a worship. The King Volanath was the son in law of Shib kind Dakkha. The king Dakkha never accepted Shib as his son-in-law because of his carelessness about his life. In that worship, all were invited but his son-in-law Devi durga (Parvati/Mahamaya) Shib was not invited. 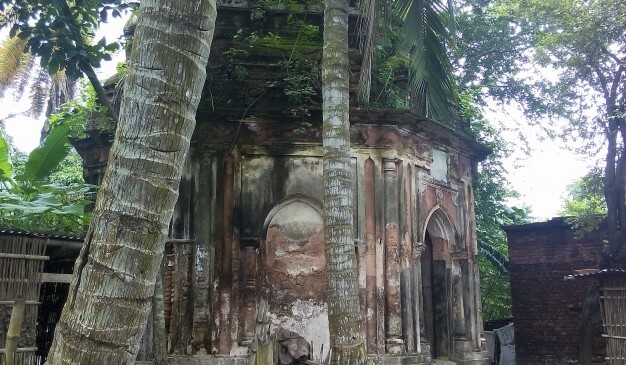 Lalmai Chandi Temple, also called Chandimata Mandir is an ancient Hindu temple located on the summit of the Lalmai hill in Barura Upazila of Comilla District, Bangladesh. The temple is dedicated to the Goddess Kali. There is a temple dedicated to the God Shiva nearby. 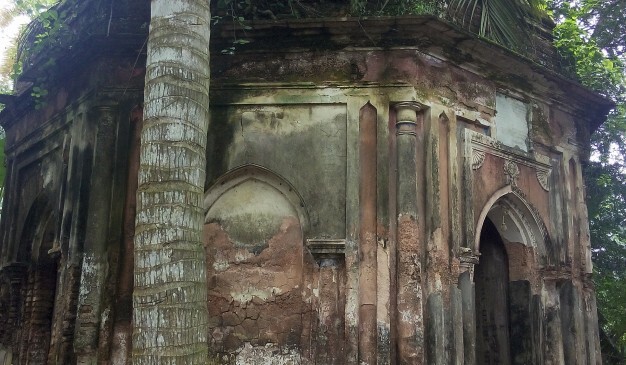 Most of the tourist spots are somewhere around the other side of Shalbon Bihar of Comilla but this small temple is quite separate from those places. This is at the southern end of the Lalmai Hill. That’s why mostly the devoted people go here & very few tourists visit it. This temple is located at the top of a hillock and you have to climb there by stairs. The stairs are covered with evergreen trees so at be careful when you are climbing up and down. At any stage, you can have a break by SUPPORTING your body on the railing of the stairs. You can see a long distance from there as you have already climbed a few. The temple premise mainly has two temples. Each of those is having two small compartments which are joined together (considered as single one). 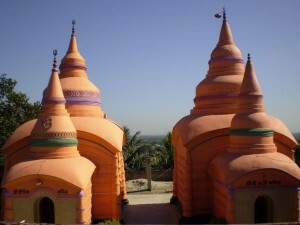 Left side temple is the Shiv Mandir and the right side temple is Chondi Mandir.